Do you have a car, truck or trailer you need sandblasted in NY, if so give us a call. ? 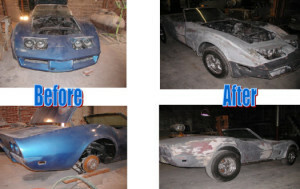 Auto restoration starts with sandblasting or sodablasting. We provide sandblasting service with recycled glass and baking soda for these projects. With our full service sand blasting shop, therefore we can provide sandblasting and sodablasting service. We provide mobile and in-shop sand blasting services in NY. 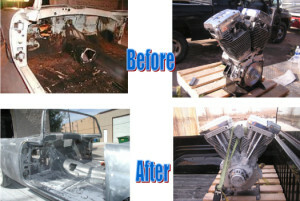 Take a look below at some of our before and after pictures from blasting projects. There is a mixture of recycled glass and sodablasting pictures.